Have you ever been to the First Friday George Streetfest? They are so much fun and you can spend as little or as much money as you want! They have food trucks, shopping, the restaurants on Main Street are open, music, dancing, games and so much more! Up in Ancestor Square they have the Jazz Garden. This is an area for people over 21 to drink and enjoy the live music. 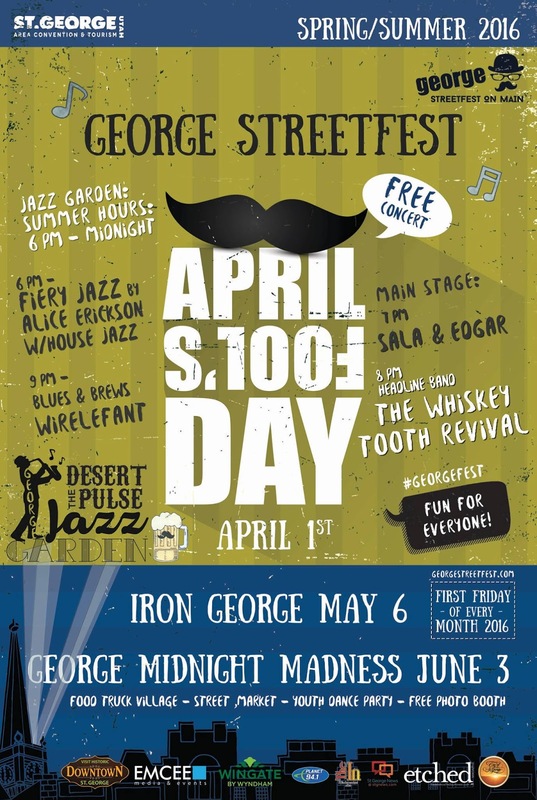 The George Streetfest is perfect for all ages! April's event falls on April Fool's Day.